Someone wants reporter Madelyn Sawyer to leave the small coastal town she's just arrived in—even if it takes hurting her. But she won't give up her goal of investigating Waterman's Reach's new police chief that easily. Madelyn assumes that former big-city detective Zach Davis—who some believe is a murderer involved in a drug-trafficking ring—is behind the threat. Who else would have a motive? But as bullets fly Madelyn's way, it's Zach who keeps saving her life. The closer she gets to the truth, the more she wants to tell the handsome lawman why she's really in town. But if she does, will she lose his trust…and any hope of surviving long enough to bring the real killer to light? Dark Harbor definitely starts with a bang! From a wild car chase to being threatened and robbed to being rescued by the very man she is there to investigate, Madelyn Sawyer's first day in Waterman's Reach is definitely a doozy. Trying to keep up false pretenses as she digs into an old drug case that could skyrocket her career, Madelyn finds herself targeted and in danger again and again. But could it be the police chief that keeps rescuing her? Zach Davis is doing some investigating of his own. When the pretty travel writer shows up in his small town, she throws a wrench in his plans, but someone is obviously targeting her and it's his job as a police chief to protect her. This was a fast-paced story that I really enjoyed. It wasn't easy to figure out who the bad guy was... It still took me by surprise at the end of the book. There was lots of action and that kept things from getting too slow. The romance was really sweet. I could understand and sympathize with both Madelyn and Zach. It was easy to see that they were good for each other. All in all, this was a good book that I enjoyed reading. I look forward to reading what this author produces next. Disclosure: I received a copy of this book in exchange for an honest review. All thoughts and opinions are my own. I am giving away a copy of this book to one of my subscribers this week! To enter, just fill out the Giveaway Tools form below! (If it doesn't show up in the email, click here: http://www.annaweaverbooks.com/giveaways to enter from the website.) Giveaway ends 8/16. Thanks for participating and God bless! Author Mini-view and Giveaway: Jackie Zack and "A Chance Mistake"
Happy Tuesday, blog friends! It's a new week and we have a new guest with us today! The lovely Jackie Zack is joining us today. Isn't the cover of "A Chance Mistake" cute? Alrighty, let's get this interview started! Thank you so much for featuring me on your blog. I appreciate it very much! I've always loved to read and have wanted to be a writer since childhood. One of my first stories started out as a funny email to a friend. As we bounced emails back and forth to make each other laugh, a plot for the story started to form. After that, I gave her a page or two of the story each day until it was done. I enjoyed writing it so much, and finishing it was a great experience. Right now, I have three published books, and have two works in progress. 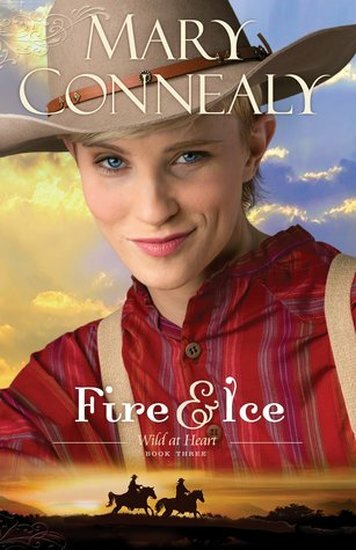 Right now I'm reading "His Perfect Love," by Sharon K. Connell. The novel is a Romantic Suspense that will be published soon. I can't stop thinking about it -- definitely a page turner. I'm featuring a Romantic Comedy with Suspense, "A Chance Mistake." By the flip of a coin, famous novelist, Kory Slate travels to Wales intent on finding rest and relaxation. His latest best seller has left him freaked out, and he begins to suspect that he’s being followed. Is he the target of a nefarious scheme? Has his money-making imagination veered out of control? An array of Kory’s books in a Welsh bookstore window pulls him into the shop to browse. He is astonished to meet Dafina Perry, the living image of a female character in his last book. As his vacation progresses down its unusual track, he finds himself inexplicably entangled in her family drama as he ends up playing the part of her husband. Dafina, struggling with betrayal and potential loss, worries about the welfare of the handsome, brilliant novelist. Will helping him bring unexpected love and happiness to her life? Or will her good intentions invoke destruction for them both? I write with a passion to entertain along with giving the reader something good to think about that maybe they haven't thought about before. 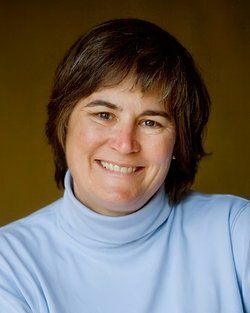 ​Jackie Zack lives in Indiana and has three adult children and two cats. One of her favorite things in life is hearing people laugh. She hopes her writing will bring much enjoyment, making the reader feel uplifted and refreshed. Kory Slate stepped aboard the jet with seconds to spare, and he wasn’t the only one arriving late. Two men hurried one pace behind him and entered. A flight attendant slid the door shut with a gliding, whooshing sound. As Kory strode to his seat, the accordion walkway slid away from the plane. Each window he passed by gave a slightly different perspective of the retracting motion against gray clouds. Why had he chosen to go out of the country? Not his plan at all. His paranoid editor had been right, at least about one thing. Kory needed an updated passport. Good thing he got one and had it on him. In the back of his mind, he must’ve toyed with a foreign destination. But Wales? He hefted his backpack in the overflowing compartment above his seat and jammed it in. He dropped down into the aisle seat. A quick glance over his shoulder told him the two men had found seats—aisle seats catty-cornered from him. One man sat four seats behind him and the other six. Weird. Nothing stood out about their appearance, except the taller one closest to him had tattered green shoe laces. If he had to identify them in a line-up, it would be near impossible. Both had a medium build. Their jeans with muted t-shirts and hoodies could belong to anyone. Kind of took on the air of his first manuscript that lay moldering in his old bedroom closet. The hero of the story had been tailed for close to three months by two nefarious thugs. He was unaware of his shadows until the day he put it all together. The near fatal ‘accidents’ that the main character experienced were orchestrated. The novel seemed to capture his essence, since it had been his first attempt at storytelling. His close friends and family—well—the ones he could get to read it—raved about it. His editor said to keep his focus on the next new thing. Yeah, right. But with six best sellers in two and a half years, he needed to clear his mind. Step off the train for a while. Do a mental cleanse and stay away from Facebook. His editor had balked at Kory’s announcement that he was slipping off the grid for a couple of months, maybe more. No social media. No writing. And where was he going? Sorry, Ed. Can’t tell ya. Kory didn’t know the answer himself. Only that New York City wouldn’t be seeing him for quite some time. A blur caught his attention out of the corner of his eye, causing a sinking dread. Too much like his last book and, he hated to admit it, probably the real reason for the needed break. An unwanted shiver raced down his neck to his spine. Jackie is generously giving away a print copy of "A Chance Mistake" to one of my blog subscribers! Just fill out the Giveaway Tools form below to enter! (If it doesn't show up in the email, click here and go to http://www.annaweaverbooks.com/giveaways to enter from the website.) Giveaway ends 8/2. Thanks for participating and God bless! Guys, I loved this book! That's all there is to it. The romance is sweet and the tension is steady throughout the course of the book. I loved Dru... It's hard to create a tough female character without her becoming annoying or overbearing, but Becky did an amazing job with making her likable, spunky, and easy to sympathize with. Gray is also a great character and his journey of overcoming his past to becoming the man he needed to be was touching and real. It was easy for me to see that they are perfect for each other from the very beginning. The romance scenes were swoon-worthy and it was great to see them together after everything they have to overcome from both inside and out. This book was a pretty even mix of suspense and the mystery of finding Gray's stalker and alternating sweet and snarky moments between Dru and Gray. And what Porter novel would be complete without the quirky and hilarious Porter family butting into Dru's life? Something else that I really enjoyed is hearing Meg's story and point of view during some of the down moments of the book. Her struggle with fear and worry over her pregnancy was especially poignant to me and it was very easy to sympathize with her. It's a great change of pace and I loved revisiting her character and her and Bo's relationship. Also, the baby scenes are absolutely heartwarming and adorable. All in all, this was a great conclusion to the Porter series and I can't wait to read what Becky has for us next. Disclosure: I received a copy of this book in exchange for an honest review, which I have given. Meet Dru Porter, former Marine, expert markswoman, and black belt—who also happens to be assigned as a bodyguard to star NFL tight end Gray Fowler. Don't miss the final Porter family novel by Becky Wade, Her One and Only. Gray starts receiving death threats from a stalker, and Dru is determined to find his stalker. Every secret that leads Dru closer to the stalker also draws her closer to Gray. As the danger escalates, they’ll survive only if they can learn to trust their lives—and their hearts—to one another. 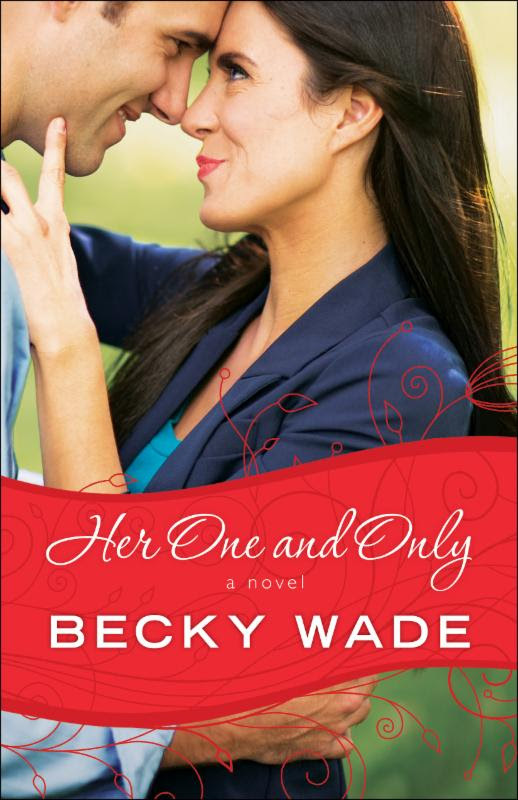 Join Becky in celebrating the release of Her One and Only by entering to win her Porter prize pack and $100 cash card giveaway! Enter today by clicking the icon below. But hurry! The giveaway ends on May 31st. The winner will be announced June 1st on the Litfuse blog.